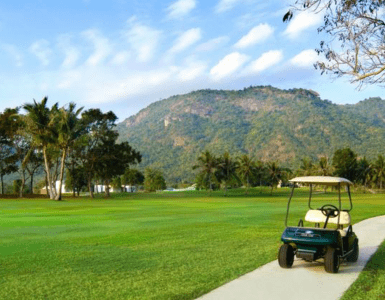 The Imperial Golf Course Hua Hin original 18 hole A-B course features small streams and a large lake dividing the course in two. 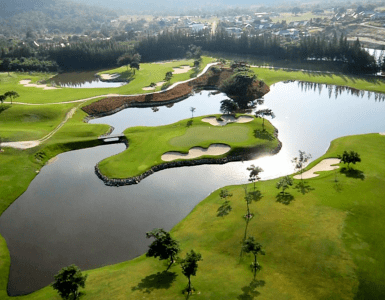 This, together with mature palm trees, blind shots to some greens, undulating fairways and several doglegs, tests the skills of the low handicapper. Imperial’s long par 3, 14th hole is particularly tricky and features a tee box on a small island and the green at another island 210 yards away – all surrounded by water. There are a number of easy par holes making the course a balanced test of golf also for higher handicappers. The design of this championship course conveys a sense of adventure. This course also offers a test for courage and putting expertise. The desert course (course C) is uniquely designed to be different in so many ways that each shot must be carefully planned. Mixing these nine holes with those from the main course provides most with an extremely fulfilling round of golf. The Lake View links course (course D) opened in late 2006, adding a further nine holes to the existing three courses. Imperial Golf Course Hua Hin plays over a relatively open area with few trees between the holes, thus earning its links name. Lake view has a par of 72 and a championship length of more than 6900 yards from the back trees. This course offers exciting and demanding play for the experienced golfer, but will also accommodate the occasional enthusiast. Other leisure activities are also available in Lake View’s magnificent club house, including tennis and squash. The clubhouse at Lake View is basic and offers pleasant ambience and good cuisine. Spacious changing facilities, a grass driving range and short game practice areas are available for all golfers. 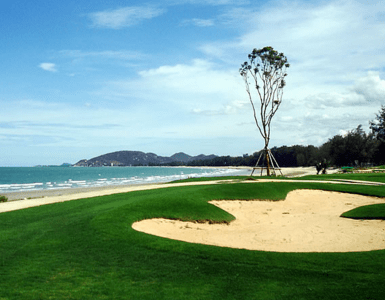 Imperial Golf Course Hua Hin also features a pool with golf course view and spa.